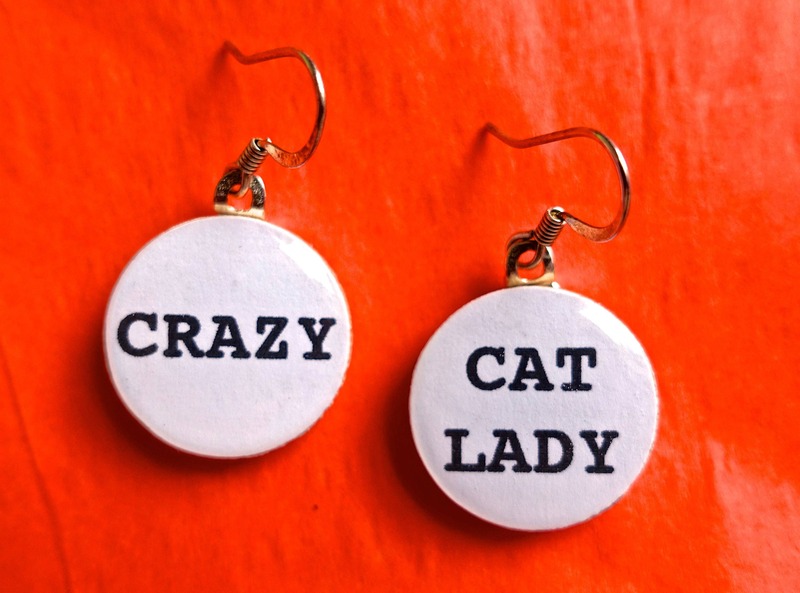 "Crazy cat lady" quote earrings. Super lightweight! 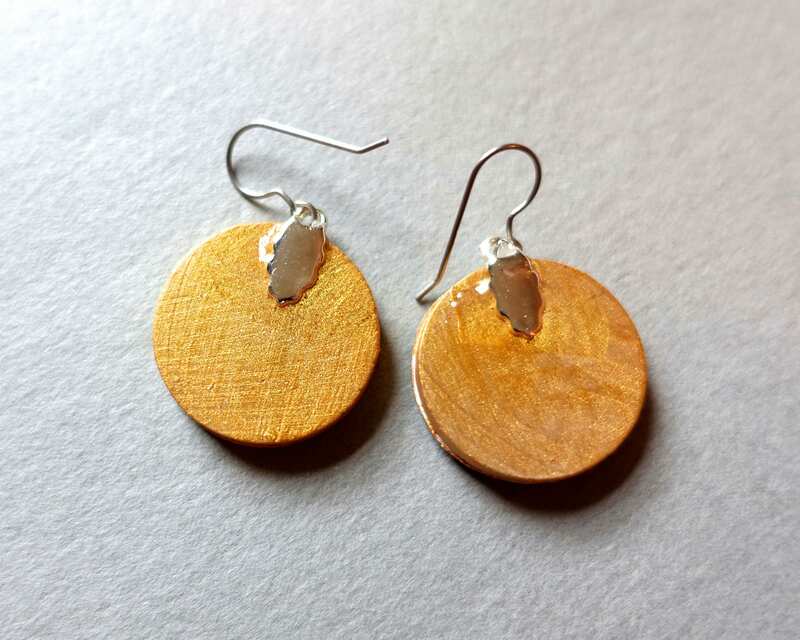 Earrings handmade from paper and wood. Wood circles measure 3/4 inch (1.9cm). Please select a color upon checkout. 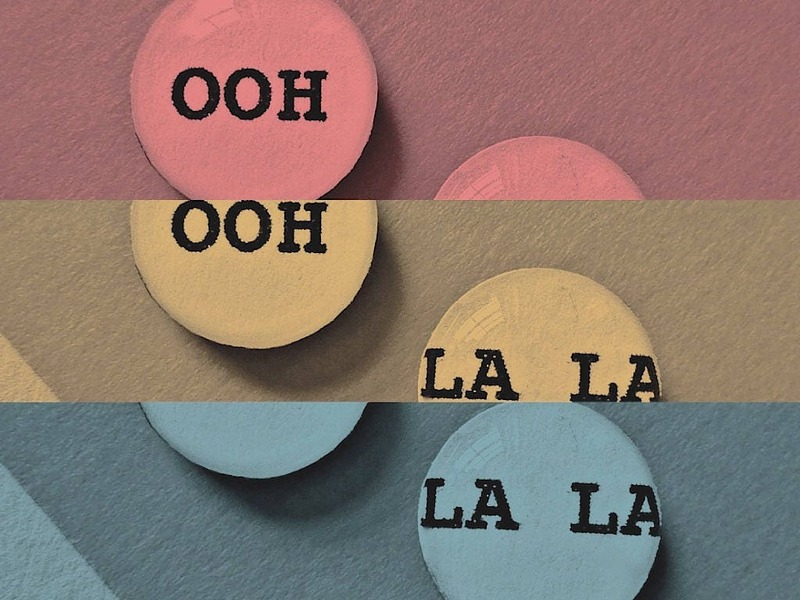 Made from paper and wood, and coated with resin. Earrings are water-resistant. We no longer use the hooks shown in this photo - are hooks are now darker, without any wire-wrapping. These earrings are made with lead-free, nickel free Grade 1 titanium backings, which meet EU standards. Surgical steel and other metals often contain traces of nickel - ouch! - while nickel-free titanium is the metal that is often used for bone and joint replacements.